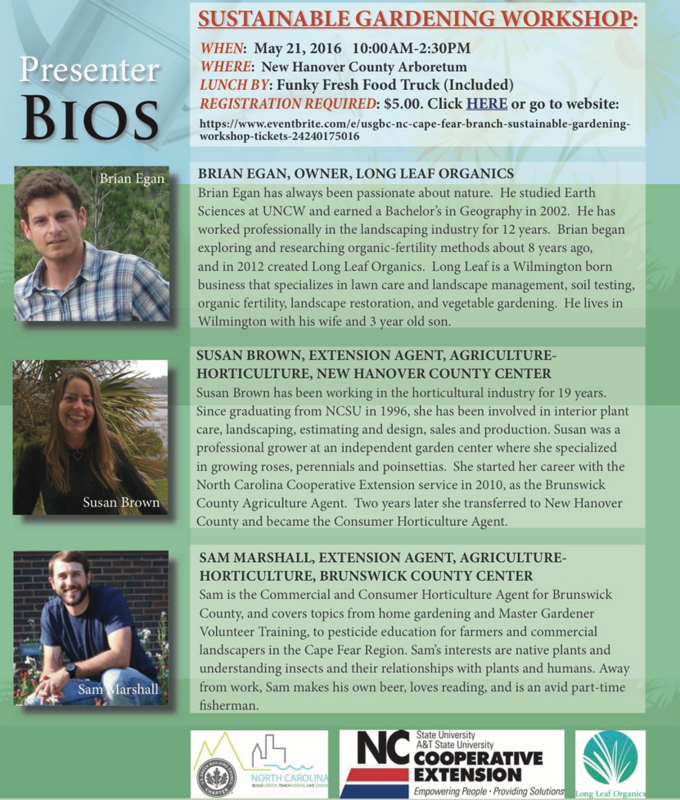 The Cape Fear Branch of USGBC North Carolina, in partnership with the New Hanover County Arboretum and Longleaf Organics, present a spring sustainable gardening workshop. Participants will learn about healthy soils, soil testing, composting, organic pesticides, organic fertilizers, pollinators, native plants, and garden ecology. There will be a tour of the Arboretum companion planting demonstration plot and the pollinator garden. Lunch provided by Tidal Creek.